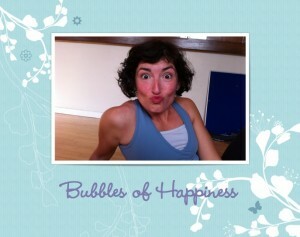 Bubble of Happiness concept started in 2008 in Nelson, New Zealand. It was a personal enquiry of mine after spending 4 months in the nature at Stillpoint Yoga Retreat with my teachers John and Lucy Crawford-Scott. The discussion started as “how to unleash some of this creative energy and share knowledge with others with the aim of transforming people’s lives”….And there started the concept of the book “Bubble of Happiness” which is still evolving…and currently I have no idea what shape or form it will take. Then in 2010 when I attended the Quest Institute Cognitive Hypnotherapy and NLP Practitioner Diploma course at Regent’s College in London, little did I know that I would cross paths with yet another inspiring being, Trevor Silvester, creator of Cognitive Hypnotherapy, and an expert in his field. A lot of what I write here are reflection of my experiences and how I view the world (which isn’t necessarily the right way), offshoot of my studies with Trevor and my journey with yoga and meditation. Using Ozge’s photography, wise (and less wise) sayings, musings and recipes for creating happiness, a book called “Bubbles of Happiness” is now available for purchase via Lulu.com. It was compiled with much love, laughter, gratitude and many blessings by Marcus Sorensen, who had the privilege of knowing Ozge’s quirky routes to happiness rather well. It honours the ideas behind the book that Ozge intended to write, based on her musings above about this project of hers. The book almost wrote itself, based on her way of living: a collection of snapshots of her essence.